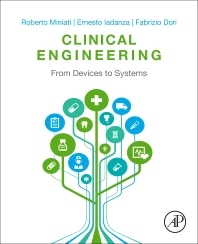 This contributed book contains chapters from international experts, who provide their solutions, experiences, and the successful methodologies they have applied to solve common problems in the area of healthcare technology. Topics include compliance with the European Directive on Medical Devices 93/42/EEC, European Norms EN 60601-1-6, EN 62366, and the American Standards ANSI/AAMI HE75: 2009. Content coverage includes decision support systems, clinical complex systems, and human factor engineering. Examples are fully supported with case studies, and global perspective is maintained throughout. This book is ideal for clinical engineers, biomedical engineers, hospital administrators and medical technology manufacturers. What Are the Disaster Stages? Dr Roberto Miniati received his M.Sc. in Biomedical Engineering in 2007 at the School of Engineering, University of Florence (Italy), and Ph.D. in 2012 within the international program on Risk Mitigation at the University of Florence (Italy) and TU Braunschweig (Germany). He has published over 100 scientific papers in refereed journals, international conference proceedings and book chapters. His main research fields include Healthcare Engineering, Health Technology Assessment (HTA) and Risk Management, Usability Engineering, Hospital Lean Manufacturing and Disaster Risk Reduction with focus in Health Emergency Planning and Vulnerability Assessment Methods. Chairman of the Clinical Engineering Division Board at the IFMBE and Chairman of the Education and Training Committee at the IUPESM. Clinical Engineering consultant and advisor, Adjunct Professor in Clinical Engineering at the University of Florence (Italy), and member of IFMBE, EMBS, IEEE. Dr. Ernesto Iadanza received both his MSc degree (Electronics Engineering - biomedical curriculum) and his PhD degree (Telematics) at the University of Florence (Italy). He is the founder and coordinator of the Biomedical Committee - Association of Professional Engineers, Florence. He was awarded with the IBM Faculty Award in 2013. Professor Fabrizio Dori received his M.Sc.in Electronics Engineering (biomedical curriculum) at the University of Florence (Italy) in 2001. His main professional activity is in the field of Clinical Engineering and Occupational Safety, as Health Technology Assessment Referring Coordinator, Regional Health Technology Department Tuscany (Italy), and as head of Protection and Prevention of Occupational Risks Office at "Le Scotte" Hospital, Siena (Italy). His main research fields include Safety in Health Care, Clinical Engineering and Health Technology Assessment, safety management and technology application in healthcare structures.